Welcome to Healthy Body Healthy Lifestyle...your home for making healthy lifestyle choices EVERY DAY! 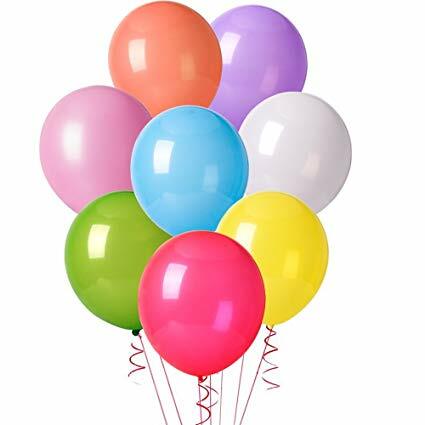 Please feel free to share an exercise, recipe, or green lifestyle tip that you discover. Together we can make a difference. I am a high school teacher, ERYT-200 yoga instructor, pilates and group fitness instructor, and personal trainer. When I am not working, I am trying out new recipes with my husband! If you wish to schedule a group or private lesson, contact me at renemacvay@yahoo.com. I read an article, 10 Ways to Say No to Plastic, by Melaina Juntti and learned that humans have generated over 8 billion metric tons of plastic since 1950. The biodegradable plastic is still sitting in landfills, as the decomposition process takes QUITE A LONG TIME. Plastic refuse is everywhere; on the side of the street, in the ocean, in the forest, and in proper recycling/trash bins. We can each make a decision to reduce our own plastic consumption. 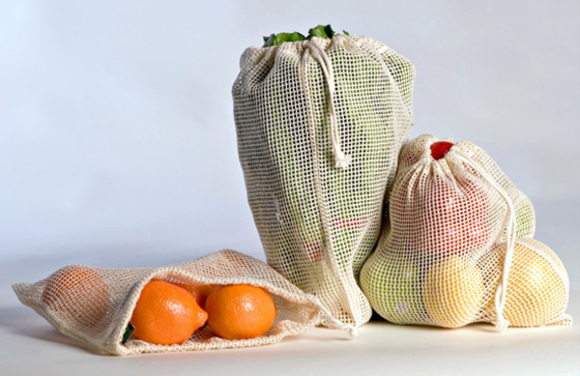 Some choices can be made on a regular basis like using reusable bags in the store for produce as well as your total purchase. 2. 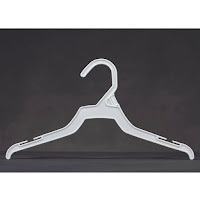 If the store asks you if you wish to take home the plastic hanger, JUST SAY NO! 5. Ask your dry cleaner if you can leave your own garment bag for your clothes to be put in once cleaned. 6. 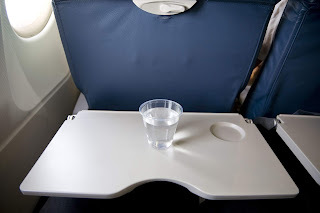 Ask a flight attendant to refill the BPA free bottle you brought on the flight. Wasting food is a concern of mine. I try to purchase only what I need so I do not waste my money or precious food. I read the article “12 Ways to use Food Waste” by Amy Palanjian and she suggests using a citrus peel to flavor water. This fascinated me as I have noticed wedges of citrus in water, not just the peel. This prompted me to start to look for other uses for citrus peels. Citrus peels can be used in a variety of ways. The peel can be grated and stored in jars for use in recipes. A citrus peel can be added to a 50/50 mix of vinegar/water and soaked for a week. The result is a scented household cleaner. Citrus peels can also be boiled in water. The natural oils in the peel will permeate the water and the room acting as a natural air freshener. 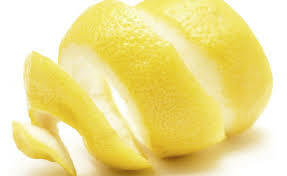 A citrus peel in the refrigerator will help remove odors much like a box of baking soda does. Orange peel is known to remove scuffs from the rubber soles of athletic shoes. Recently I have been informed that there is trouble with plastic recycling since China passed the National Sword policy banning plastic waste from being imported (to protect their environment) beginning January 2018. According to an NPR story from January 2018, The US, Japan, and Germany are all at the top of the list when it comes to exporting their used plastic. In the US alone, over 26 million tons were sent out of the country between 1988 and 2016. The waste that had been traveling o China is piling up in communities. Something needs to be done. I continue to search for more ways to create less waste. I belong to a Facebook group, Journey to Zero Waste, which gives me ideas on ways I can create less of a footprint on the Earth and leave it a better place than I found it. This article pointed out ways we can all contribute to the environment through a reduction in our use of plastics. Remove yourself from mailing lists. The plastic windows in envelopes make the envelopes not able to be recycled. Our personal care routine changes as the weather changes. In the colder months our skin dries out and begins to crack more often than it does in the warmer months. This is a result of several factors such as: wind, cooler temperatures, and more time spent inside in "heated" rooms. No matter where you live, there are noticeable seasonal changes, albeit some more drastic than others. Each of us needs to make some changes to our skin care routine as the seasons change (or as we travel to a different climate for business or pleasure). Why Does our Skin Dry Out in Winter? 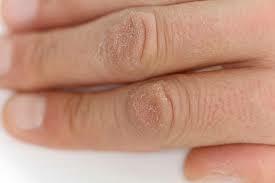 Research has indicated the cause of seasonal dry skin is simple: a lack of moisture and natural oils (ceramides - lipid molecules containing fatty acids) which the body doesn’t produce as readily in dry air conditions. “The winter weather disrupts your skin’s barrier function (the protective lipid layer and immune system), causing irritated, dry and cracked skin,” says “The Skin Saint” Holly Cutler, owner of Michigan skin care clinic, FACE. Extra hydration INSIDE your body will help OUTSIDE your body. Skin is our largest organ, hydration will help it function properly. Hydration not only benefits your skin, it also can boost your mood, help you focus, and help your digestive system. 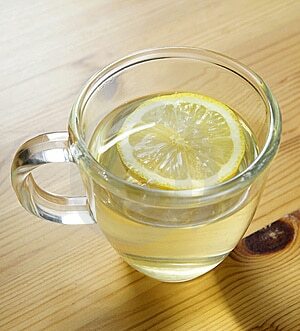 I start each day with hot water and lemon to detoxify my body. Yes, when it is cold outside a HOT shower can warm the body but it can also dry out your skin. Take a warm shower and then use a plant based moisturizer with Vitamin E to seal in your skin's moisture. My family and my health are important to me. Each day I try to be present and achieve to the best of my abilities. I hold a California Teaching Credential, Masters in Education, and Masters in the Humanities with a Literature Focus. I am an E-RYT 200 Yoga Instructor, Personal Trainer, and Certified Pilates Instructor. I am working toward my 500 Hour RYT in Yoga Therapy.